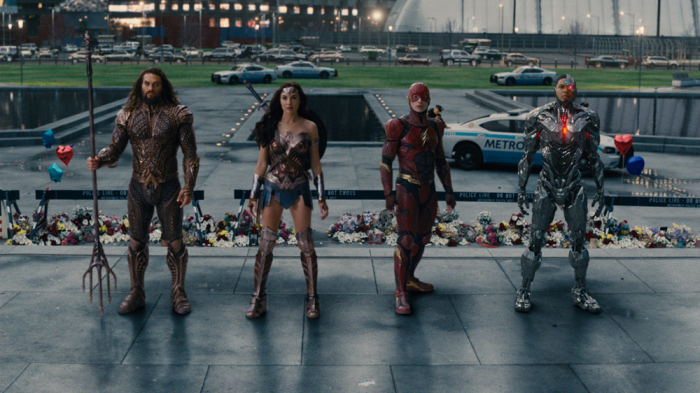 HOLLYWOOD – The Justice League hit theaters and was immediately hailed as a masterpiece of its genre. But – as rebellious as ever – The Studio Exec is not fully convinced. 2. Everyone looks tired and depressed. First, Ben Affleck looks like they CGIed Ryan Reynolds head onto Dave Bautista’s body. Second, Amy Adams looks like she’s performing under duress. As if someone is just off camera with a cattle prod, blocking the exit. She looks so bored and they used a crayon to color in her hair. Then Diane Lane is too obviously happy just to get work. Finally, Gal Gadot looks confused that she can be in such a bad film after having been in such a good one. Weirdly, Henry Cavill shines. 3. The film is as visually interesting as an infomercial. As much as I hated Batman V Superman and Man of Steel, those films had a certain visual pomposity that was compelling. Here, not only is the CGI like mid-90s Star Trek, but every shot, hero entrance, etc etc looks like a rush job for a poorly funded advertising agency. Take the iconic moment towards the end where Clark Kent becomes Superman. It looked like a TV advert featuring Superman. Nothing momentous happens. In rushing to be the Avengers, they threw out the epic with the dourness. 4. Which leads us to: the humor wasn’t funny. It’s like sitting at a wedding reception with that guy who is really funny and then someone else tries to go toe to toe with them, but they don’t have the material. Unfunny humor isn’t just not funny, it is deeply depressing. They label every joke ‘JOKE’. The Flash (Ezra Miller) is annoying. Really annoying. It is like they took Zach Snyder’s sense of humor and mixed it with Joss Whedon’s visual flair. And that line is funnier than anything in the movie. 5. The Avengers. Anything DC does feels like catch up. And that’s a pity. Aquaman sounds like Thor, Superman like Captain America, Batman like Tony Stark, Flash like Peter Parker. The getting the team together to beat a CGI thing with the blue light from the sky and the cubes… whatever. Do we really want anymore universes? What was a neat idea ten years ago is beginning to look lazy bloated franchise think. Isn’t it time to finally give up?